This is the second instalment of the column we write for YAACING, which is published by the Young Adult and Children’s Services (YAACS) arm of the British Columbia Library Association. We promise to post a little more promptly in the future, but in the meantime read about all the amazing work being done by youth services librarians every-which-where! This time around we didn’t have to look far for the Storytimer of the Winter, because she was standing right in front of us! Tess Prendergast is a Children’s Librarian at VPL by day and a PhD student in UBC’s Department of Language and Literacy Education by night. As if that’s not enough she is active on Twitter and can be found blogging about inclusive early literacy. Tess is a fierce believer that libraries should play a role in supporting families as they engage with new media. Her posts on Little eLit which explore mobile technology and kids are passionate and scrupulously researched. And take it from us, her storytimes are even better. While we have the pleasure of working with fantastic people on a daily basis, we are always on the hunt for other professional development opportunities. Some of the amazing folks at Storytime Underground came up with the idea of having a professional book club, which allows people to read the same title and discuss asynchronously and live using Facebook and Twitter. Another nifty idea they came up with is Ask a Storytime Ninja which is like an advice column for us children’s folks. Feel free to submit questions or sign up to give advice! Our final bit of professional development comes to us from Katie Fitzgerald of the wonderful blog Story Time Secrets where she reflects on library service to parents. It is a refreshing and important read. Well the good people of Colorado Libraries for Early Literacy have done it again, and this time they asked us to take part! The CLEL Bell Awards celebrate picture books that support the five practices of early literacy: write, talk, read, play and sing. The blog tour was a chance to promote the award as well as share our favourite picture books. A couple last fun ideas include a banned books display from Jane at Piper Loves the Library and creating a mailbox for early literacy questions, namely don’t let the pigeon…from Lisa at Libraryland. We’ve found so many amazing programming resources this fall. Storytime resource sharing feels like it’s at an all time high! To start, please check out this huge list of storytime resources on Mel’s Desk. Not only does she list blogs, wikis, and websites for storytime planning, she also lists resources for finding preschool songs and crafts. One of the wikis that deserves a closer look is Storytime by Bridget. You can search her wiki by age, getting program outlines for preschool, school-age, tween, and teen programs. An excellent website when you are short on planning time and need some quick inspiration. These days it seems like everyone is trying out parachutes in their storytimes. Kendra at Read, Sing, Play outlined her toddler parachute storytime which includes all the songs and books she included. Then Nicole at Narrating Tales of Preschool Storytime shared her parachute playtime program. We love how she compares her “plan” to how things really went down. Next, Lisa at Libraryland gives the rundown on her parachute games which is so thorough you can just print and use at your own library! Anne from So Tomorrow joined the conversation by writing out her playlist of songs and explaining why she uses nursery rhymes in her program. And if you think babies don’t enjoy parachutes, think again! Julia at Laughter and Literacy documented her experience using a parachute in baby storytime. Do you have parachute fever yet!? To round up our storytime goodies, we point you to Storytime with Miss Tara and Friends where she features an excellent Autumn themed preschool and family storytime. Awesome Storytime also has a collection of color themed storytimes that include book recommendations and crafts projects. The spunky Magpie Librarian shared a unique way to sing the ABCs called the ABC Stop Song which forces kids to slow down the pronunciation of each letter. And we loved this blog post on two ways sing BINGO by Storytime ABCs that promotes letter and number awareness! And for those of us who work with the little ones, Abby the Librarian posted an excellent article on how to shorten picture books for babytime. Outside of storytime, the world of Youth Services Librarians has been quite busy as well. Have you ever heard of STEM or STEAM and wondered what all the fuss is about? 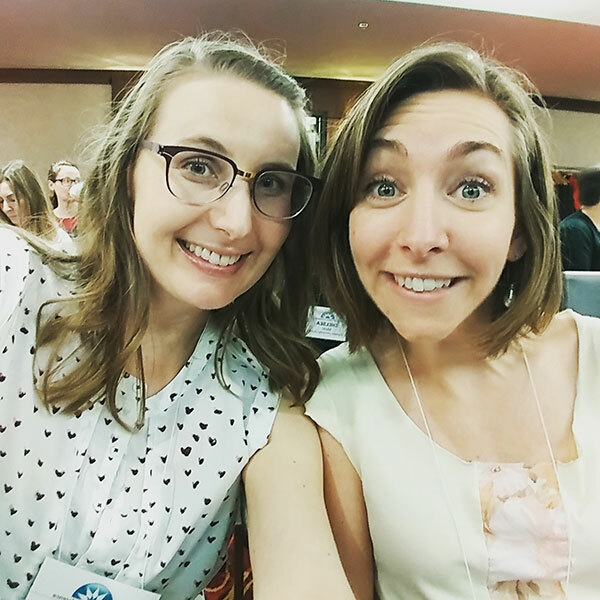 Amy Koester of The Show Me Librarian fame wrote a detailed article for School Library Journal called Full STEAM Ahead: Injecting Art and Creativity Into STEM explaining exactly what STEAM is, why it belongs in the library, and how to plan a STEAM program. Want to see examples of how youth librarians are using STEAM already? Check out this preschool program focusing on the weather, and this preschool program investigating sound. Or you could go the extra mile and make BUTTER at storytime like Jen in the Library did! Now on to middle years, tweens, and teen programs. Leah at Sunflower Storytime shared her super successful Superhero Family Night complete with capes, masks, ID tags, pictures and snacks. Rivalling superheroes in its popularity among school aged kids is pirates, and we think this Pirate Party is fantastic! Kids got to make their own treasure map, pin the eye on the pirate, walk the plank, and do a treasure chest coin toss. Lastly, With Kiddos @ the Library shared their program called An American Girl Afternoon where kids got to make matching bracelets, practice hairstyles, and take photos with their dolls. Our favourite programs for older kids include this Halloween themed program from the Teen Librarian Toolbox. Inspired by the book series Tales From Lovecraft Middle School, you can turn your library into a haunted house that includes gargoyle stained glass, a monster lab, and bug crafts. Or take the less spooky route and get your craft on like Bridget with an Origami and Duct Tape program for teens. From origami roses to wallets to ninja stars, the options are endless! And of course we always ask for ideas or suggestions at the end- so if there’s something that knocked your socks off we’d like to know! Here is the full issue of YAACING Winter 2014 if you’d like to read more.